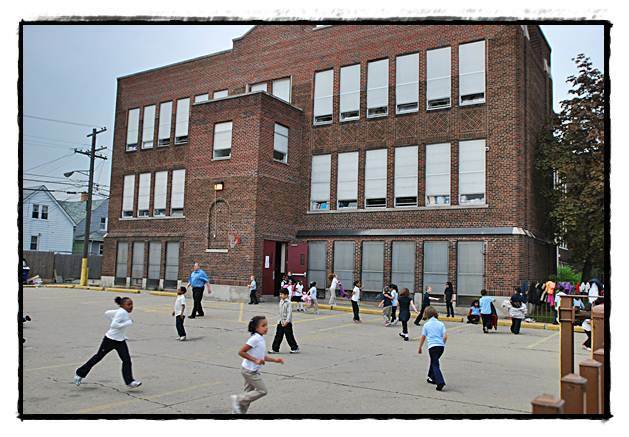 Two Hamtramck parishes now have empty school buildings on their hands. As reported previously, the public school district moved out of the St. Lad’s school building, consolidating classes within other school buildings the district owns. That move will save the district $300,000 a year in rent. With the opening of the new Hanley International School building on the southend, that means the former St. Florian Elementary School building is now vacant. According to Rev. Andrew Wesley, the administrator for Hamtramck’s parishes, St. Lad’s elementary school’s next use will remain as an educational facility. However, he was unable to disclose the buyer at this time. 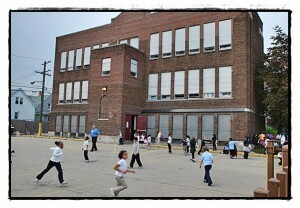 Also, he said there is interest in the St. Florian building by another charter school. Wesley again declined to comment further on the matter. According to Jason Friedmann, Director of Community & Economic Development for the city of Hamtramck, the charter school interested in taking over the St. Florian building has applied for a grant, and anticipates a response by October. Friedmann said that if the grant is issued, the building’s new occupant could be in there as soon as January.